You might not be surprised that low-carb foods are dominating American recipes. 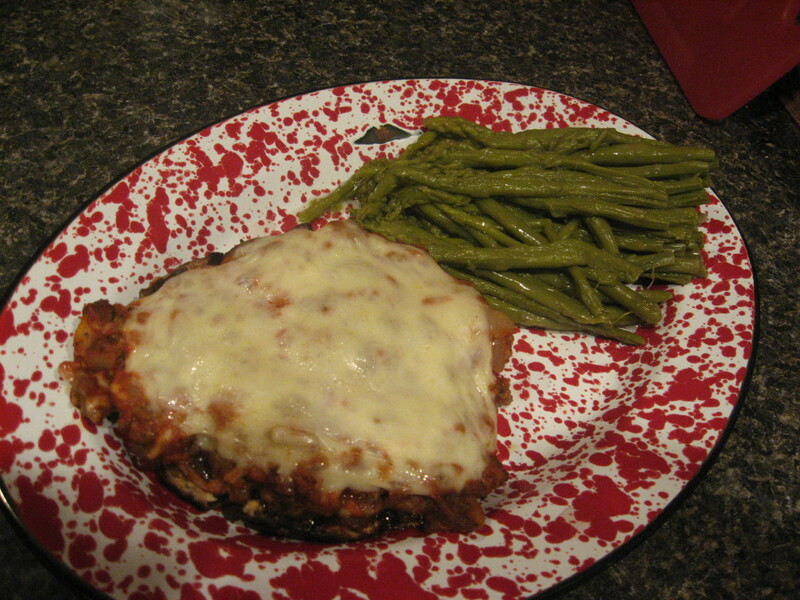 I’m once again eating low carb foods and creating low carb recipes. After discovering my fasting blood glucose was elevated, I decided that low carb diets were best for me. Actually, I already knew this. I’ve been on low carb diets before. Sticking to low carb foods is the only way I can lose weight. Low carb diets keep me full and satisfied. Low carb diets also help lower my cholesterol and triglycerides. There's just something about eating high-protein foods that keeps you satisfied - both physically and mentally. I rarely feel as if I'm being "deprived" when I'm low carb dieting. My biggest problem with low carb diets is breads. I can easily do without eating desserts and sugar, but I find that I often crave breads. Unfortunately, I haven’t found a lot of low carb breads. 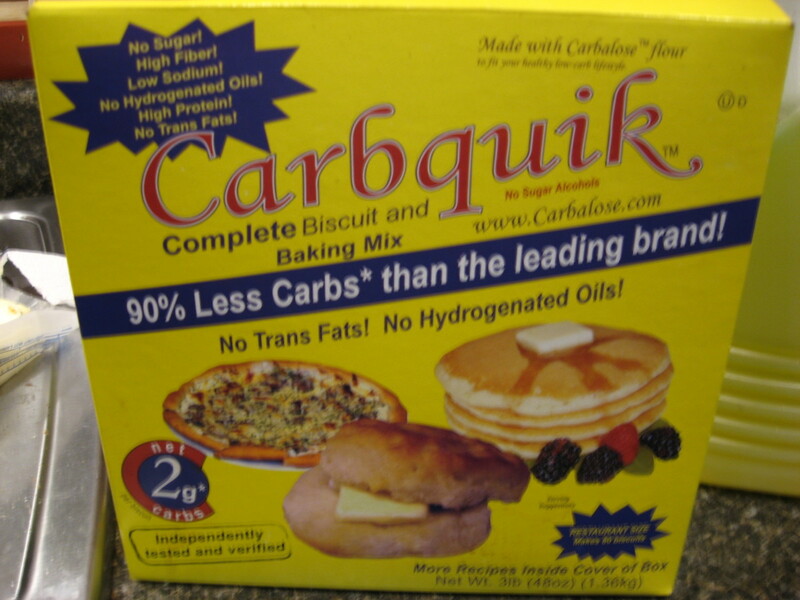 The one really low carb bread I did find tasted like cardboard. Eating bread made of white flour was a real pitfall for my low carb diets. I had no problem with low carb foods. I love meats, poultry, and fish. I also enjoy low carb foods like vegetables and nuts. I just had to find a low carb bread that I actually liked. I searched in the grocery stores for low carb breads, to no avail. I even searched the local health food stores for low carb breads. The ones I found were not to my liking. I finally turned to the internet for a low carb bread recipe. I lucked up on a low carb bread recipe on the net. It used flax meal, also known as flaxseed meal. I take flax oil every day, so I knew about its health benefits. I decided to try this low carb bread recipe. I just happened to have some flax meal on hand. The low carb bread recipe I tried was okay. I didn’t think it had much flavor, however. I tweaked it and came up with a better low carb bread recipe. I turned it into an herbed low carb bread. At least, I think it’s better. No, it's not as light and fluffy as as white bread made with yeast. It's more of a rustic bread, but it does the job of satisfying my hunger for bread. Directions: Preheat oven to 350 degrees and line a baking sheet with oiled parchment paper or oiled aluminum foil. If you have a silicone baking sheet, use that. I used foil coated with cooking oil, and it worked fine. In a large bowl, mix together flax meal or flaxseed meal, baking powder, baking soda, and sweetener. Add the water and the oil and blend well. Add remaining ingredients and allow to rest for five minutes. Spread mixture on the baking sheet to about ½-inch thick. Bake for about 25 minutes. When partially cooled, mark into squares with a knife. I like to make mine about the size of a bread slice. This low carb bread is great for sandwiches! I also like it spread with cream cheese. With this low carb bread recipe, you get a healthy dose of fiber and practically no net carbs. Flax meal or flaxseed meal contains 4 grams of carbs per serving, but it also contains 4 grams of fiber per serving. That means it has no net carbs! The other ingredients in the low carb bread recipe are practically carb-free, also. I take flax oil supplements for their omega-3 fats. And like flax oil, the flax meal and flaxseed meal are rich in omega-3s. One serving of flax meal or flaxseed meal delivers 2,600 milligrams of omega-3s. I use the Hodgson Mill flax seed. It contains no salt, no gluten, no cholesterol, and no trans fat. I’m going to use the basic low carb bread recipe to create more low carb bread recipes. Adding some cheese to the herb bread would be great, I think. I just haven’t gotten around to it yet. For another low carb bread recipe, I think I’ll leave out the herbs. I’ll add more Splenda, some ginger, cinnamon, cloves, vanilla, and pecans. 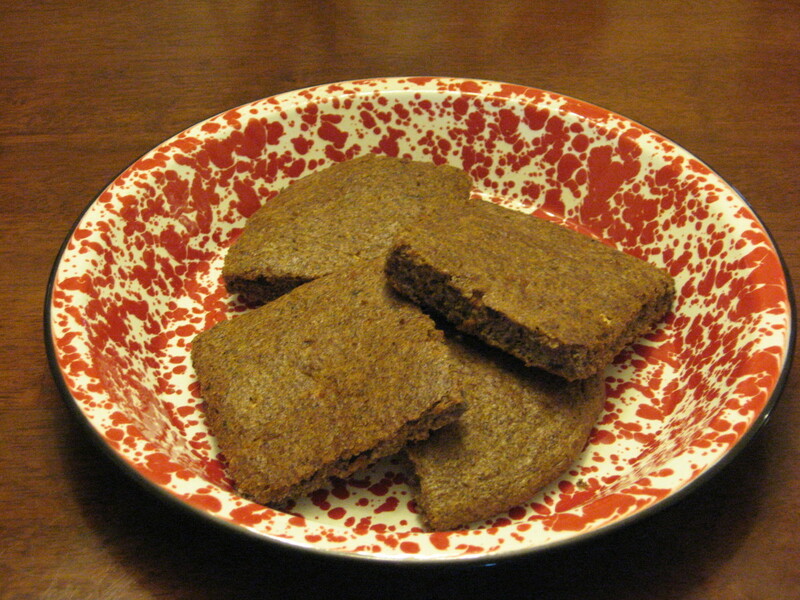 I think the basic low carb bread recipe would make a great spice cake or sweet, spicy muffins. 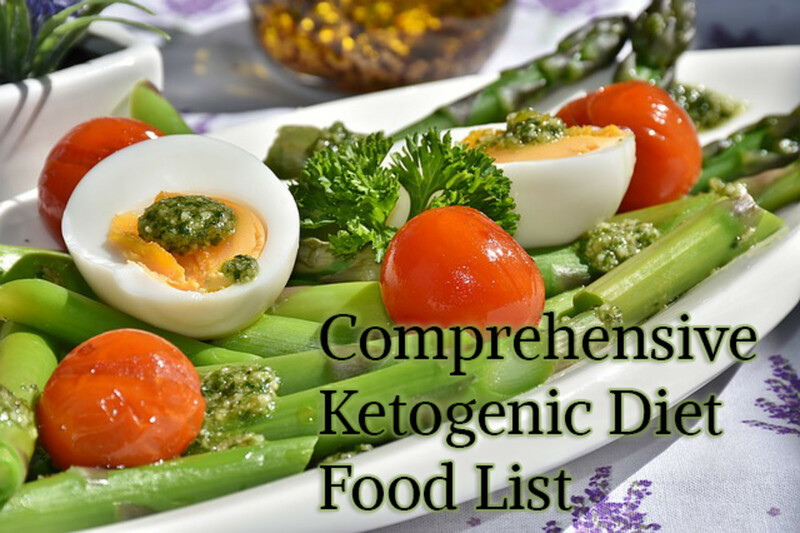 To read more about low carb diets and low carb foods, click the links below the products and photo! My low carb bread recipe. Yum! 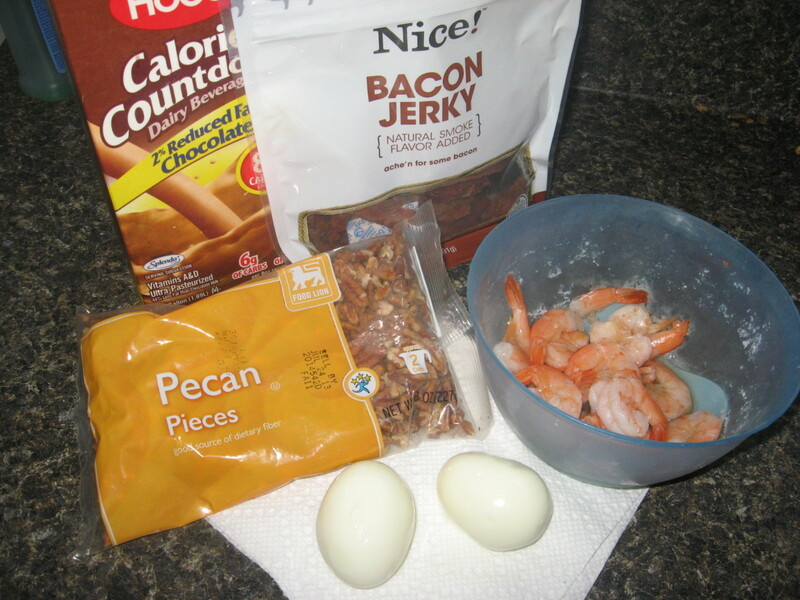 Low Carb High Protein Snacks - 25 Tasty Options! I just started Atkins and am on the induction phase, do you know if this bread will be ok to eat on the induction phase? I have been craving bread! This looks good and relatively easy. What would you rate the taste of the bread on a scale of 1 to 10? I made this bread for my husband. And he loves it. However, I can't touch the bread, not that I don't want too, but I'm allergic to flaxseed. By any chance do you no a substitute for flaxseed that would work? You want to lose weight? Then face facts: Making a difference begins at home. We can stop the obesity pandemic for the sake of our children and save the world at the same time. Watch and implement this video that says it all. Share The Best Speech You Will Ever Hear by Gary Yourofsky and help make it go viral! I made the bread yesterday, and at your suggestion, had some warm with cream cheese. yum! I didn't get enough spices in, but can see great potential, so will have fun trying different things. Thanks you so much for this great recipe. Hi Habee, I read this and tried it right away! It came out GREAT! you have literally CHANGED MY LIFE WITH THIS RECIPE!!. Tomorrow I'm going to make ginger bread and hot pretzels(ny style, which means you have to start them in boiled water) it could be terrible or great, I'll let you know. I have the coarse salt ready. And, since it's low carb, they may be brushed with butter. Anyway, my husband and I often low carb and he tried it and liked it a lot too. We had strip steaks and rosemary bread with your recipe. I used 4 jumbo eggs and I thought it looked really too thin, so I added a little bit more of the flax, but it worked out. I also added salt. Thanks a million!!!!!!!!!!!!!!!!!!!!!!!!!!!!!!!!!!!!!!!!!!!!!!!!!!!!!!!!!!!!!!!!!!!!!!!!!!!!!!!!!!!!!!!!!!!!!!!!!!!!!!!!!!!!!!!!!!!!!!! Thanks for sharing. I just started a low-carb diet and am trying to find alternatives to all the deliciousness that I WANT to eat...but now can't! Thanks for this, Informative article, Thanks for sharing. Pretty nice recipe. Maybe I should try it at home thank you. Alicia, give it a try! Karen, I listed the carb count. I'm not too concerned with the fat grams. Also, each brand of flaxseed meal is a little different. Thanks for the recipe. I’ve bought low carb flaxseed bread in stores before. I love the taste of the bread and the fact that flaxseed is so healthy. The bread would probably taste even better and be healthier if I made it at home! Miranda, sorry you didn't like it. I make and eat it often, and I like it. It can't compare to high-carb white bread, but it satisfies my craving for bread, and it's super healthy! Sorry to say, but this was absolutley horrible. It sounded promising, smelled good, but none of us in the house would eat it. My dog even snubbed her nose at it. Carren, those are great ideas. Thanks! Thanks, Hubpage 101! Hope you enjoy it! Hezekiah, this low carb bread is very filling! No, Asian lamp, this bread is very healthy! Gachapoz, thanks! I'm a big bread lover, so without low carb bread, I could never stick to a low carb diet. Blair, that's awesome! 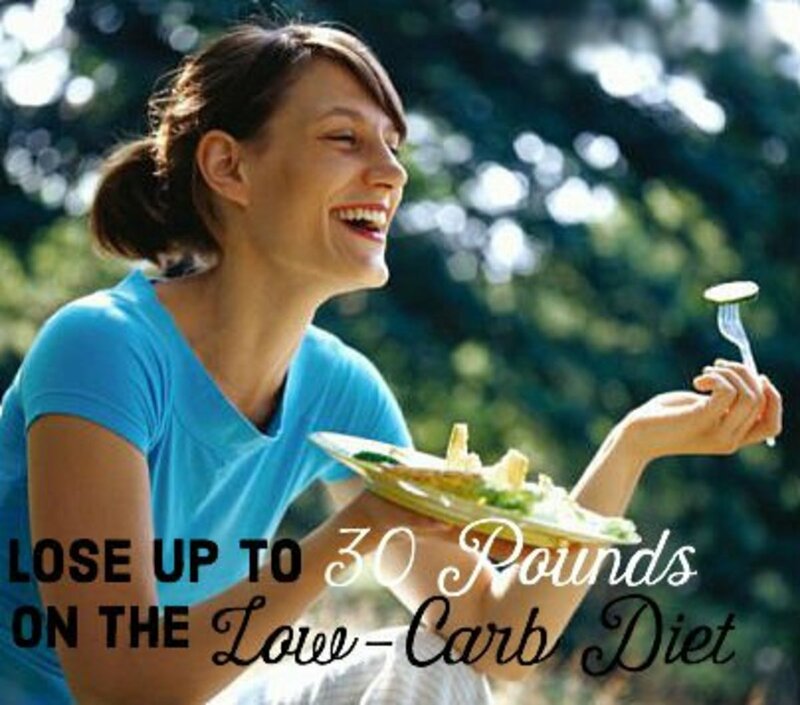 Keep up the good work on your low carb diet! Rtalloni, Low carb bread is a staple in our house! Thanks, Glem. I'll check it out! Ingenira, Thanks for stopping by! You can add sunflower seeds or linseed ( very healthy) or sesame, dry pumpkin seeds etc, there are so many options to improvise. You did a great job on this hub, I hope you keep up the good work. I enjoyed the article. I have to go low-carb to lose weight also. But I'm a little more relaxed with the carbs in breads. But I'm doing lower fat meals also. I've been at it for 2 weeks so far and have lost 12 pounds so far. Good luck with your choice to eat and live healthier. Sounds like a must try. Glad for the photo, too, as I was envisioning slicing it at about a half inch! Eatlike, I like Stevia, but I really like Splenda! Kaos, hope you like it! Craig, it's a very healthy alternative to white bread. The recipe that you have described appears to be quite yummy. Moreover, I feel that it is very nutritious and healthy. A couple things, first off, Slipats are awesome, I own 3. And second, I heard that Stevia is an artifical sweetner that doesn't give off any bad aftertaste. My friends had some lemom-lime soda pop that was sweetened with Stevia. has anyone else noticed this? Right, Medor - this is great for diabetics! Fad, happy new year to you, also! very nice thanks for your great hub . Sounds tempting and delicious! Happy New Year! I have tips for eating well too. I'll have to give this a try next time I make bread. Thanks for the recipe! Doc and Nancy, thanks so much for reading! This sounds very interesting. I've never tried to make low carb bread before. I'll give it a try. Habee, Sounds Great! I am sure it is really good you are a wonderful cook! Take care! Still waiting on Habee's Gourmet Cooking Show... You Go girlfriend! Thank you for sharing, Peace & Blessings! Give this low carb bread a try, HH! Melinda, I love bread, too. That's why I HAD to come up with some low carb recipes for breads!! Most of us do, Wendy! Pam, low carb diets work for me! Sticking to low carb foods is the only way I can lose weight. That sounds and looks great even I am tempted. There I go. ohhh oohhh... I love bread. Thanks..
Bpop, same here. This is a low carb bread, but it's not low in calories. All diets are tough, Bo! I'll have to give that a try - thanks for the recipe! Thank you for sharing this, habee! I'm sure some of us would have payed for this without any qualms. Bookmarked, printed and voted up! I should try this. I eat way to much carbs. Habee, I have never been successful on a low carb diet but I do think I would like that bread and I am going to copy the recipe. It has to be a healthier choice. Thanks for sharing. Can't wait to try this. Looks good! This recipe appeals to me. I love bread, but I hate the calories. Thanks! Low carb diets can be tough!